Women on a Mission: Mom Edition: DOUBLE-HEADER FRIDAY: It's a Wrap! As WOMS Ethne and I are ALWAYS looking for ways to save money! One way to SAVE BIG is to look at your electricity bill and what your home has to offer to determine how to cut costs. 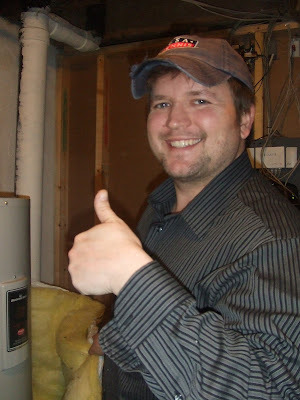 Since purchasing our home, Steve and I have installed a new furnace, new water heater, and added insulation to the top floor of our home. Already, our heating bill has been cut significantly. STEVE IS READY TO INSTALL! However—we continue to look for ways to be more efficient. Handy G-Pa (Lori’s Dad) is always offering up home improvement advice and tips! He encouraged Steve and I to wrap our water heater to make it more efficient. SIMPLE SOLUTION! WATER HEATER BEFORE PUTTING ON A JACKET! 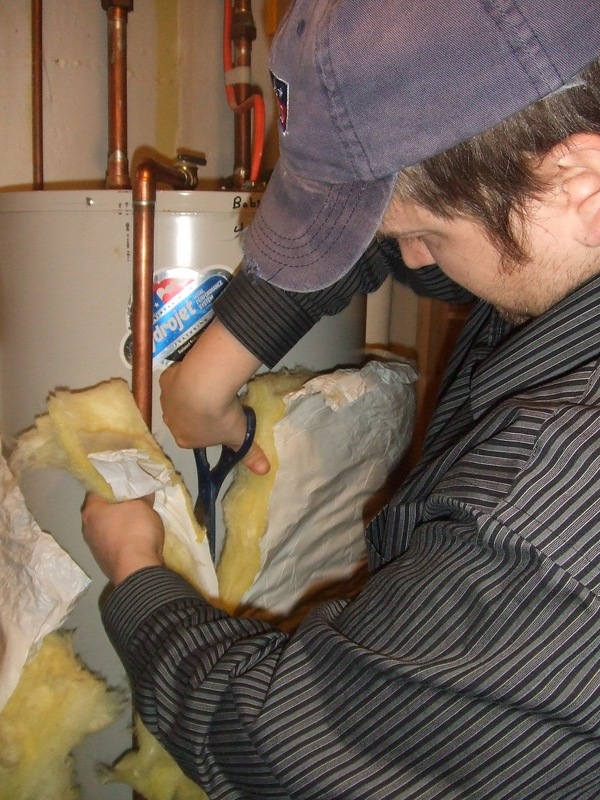 According to the US Department of Energy, adding insulation to a water heater can reduce standby heat losses by 25%–45%. 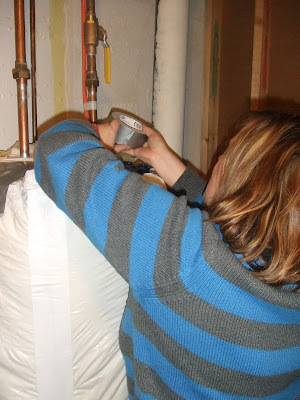 This will save you around 4%–9% in water heating costs. 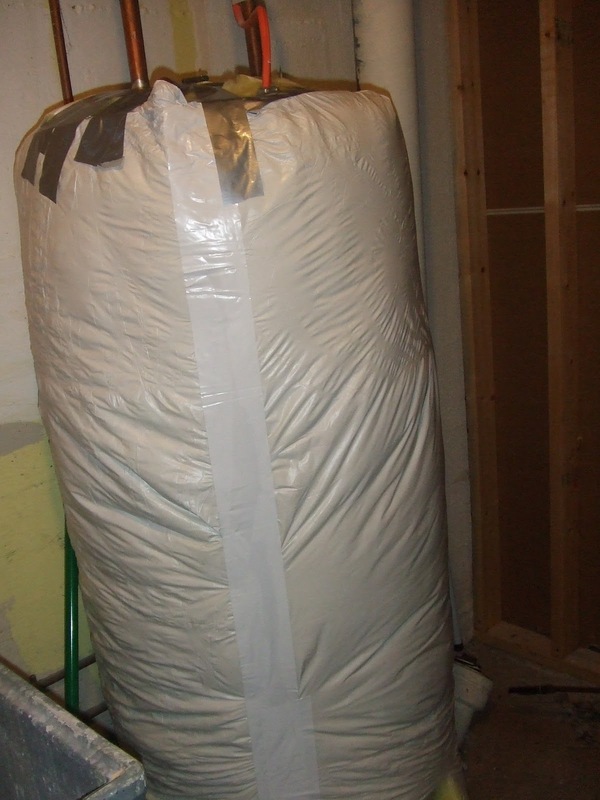 If your water heater is warm to the touch, then you would benefit from added insulation. 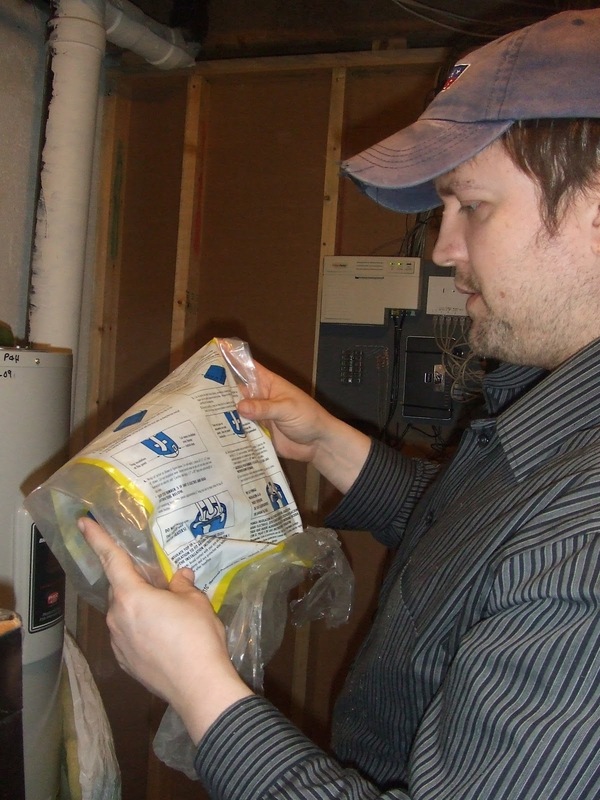 The installation instructions are very EASY! Purchased at Home Depot for just over $20.00 it was a cinch to install! Simply cut the coat to fit. Hold it tight (definitely a two person job) and tape. I went over it a few times to ensure that it was tight and secure. 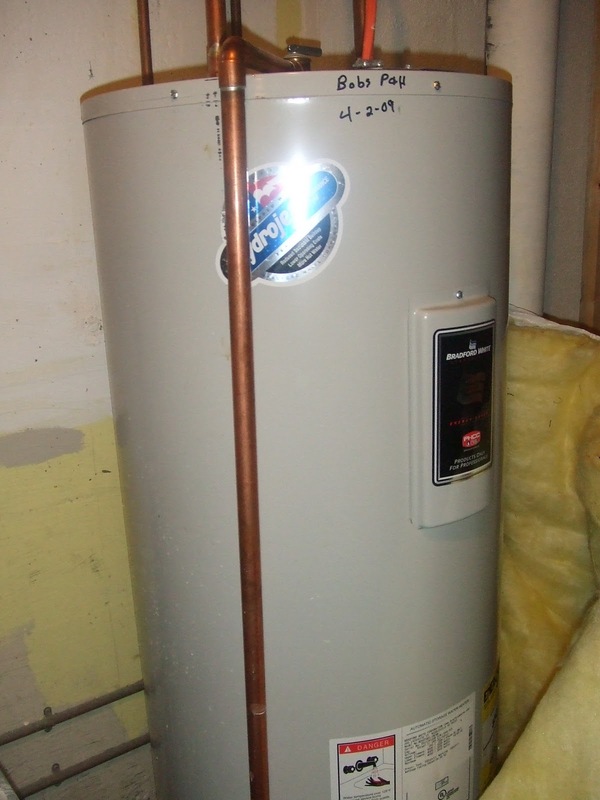 Make sure the water heater electrical and heat components are not covered. And…the instructions also recommended that you use the left-over insulation (from trimming the coat to fit) on the top of the heater. I know it doesn’t look pretty, but guess what—it will SAVE MONEY! Final step: tape to ensure that it is secure. Voila! DONE! MISSION COMPLETE! LET THE SAVINGS BEGIN!